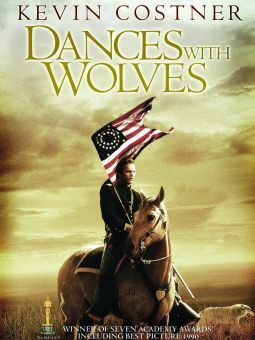 Several film historians, notably the late William K. Everson, have noted the striking resemblances between Run of the Arrow and the 1990 Oscar-winner Dances with Wolves. 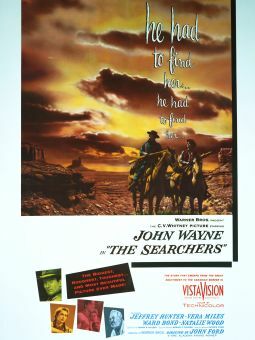 Rod Steiger stars as O'Meara, an Irish-brogued Confederate soldier with an intense dislike for Yankees. 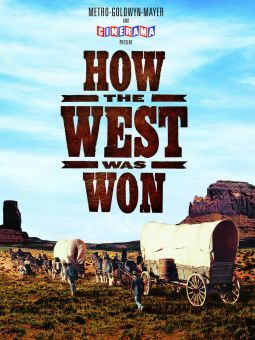 Unable to accept the South's defeat, O'Meara heads westward after the Civil War, to start life anew amongst the Sioux Indians. 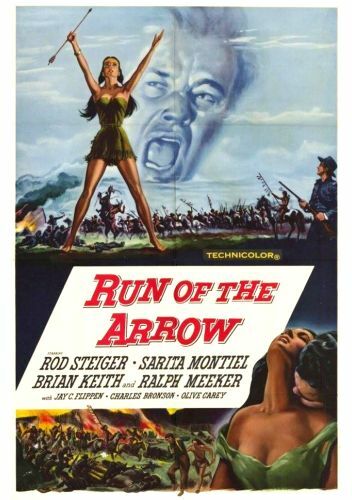 Surving a ritual rite of passage called the Run of the Arrow, O'Meara is accepted into the tribe, and shortly afterward marries Sioux woman Yellow Moccasin (played by Spanish actress Sarita Montiel, whose voice was dubbed by Angie Dickinson). 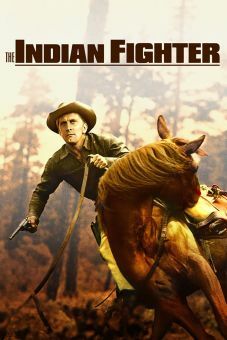 The true test of O'Meara's fidelity to the Sioux comes when his adopted people come into conflict with a Cavalry troop, headed by Northerner Captain Clark (Brian Keith). 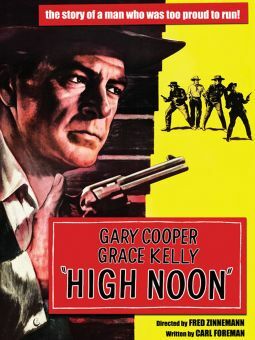 The cast includes such western "regulars" as Charles Bronson, Olive Carey (the widow of Harry Carey) and Colonel Tom McCoy (a recognized Indian-lore expert). 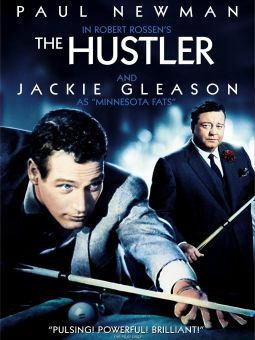 Produced by RKO Radio, Run of the Arrow was released by Universal-International.